Australian cricket had evolved on the lines of British cricket but gradually went on to become the most popular summer pastime of the country and gradually the most preferred sport of the country. The game is so popular within the country that today there exists numerous Australian cricket Championships. The game has evolved over the decades and centuries to expand from the club stage to the domestic and finally the international level. Today, Australian cricket is experiencing the most glorious period of its history where both men's and women's cricket are meeting continuous success. Since, cricket is equally popular in all parts of the country, there are Australian cricket Championships held in every nook and corner of the country and at all levels, be it local, regional, national or international. Surveys proved that as high as 471,329 players play Australian cricket Championships every year and within this figure there are 47,780 women. The origin of Australian cricket Championships lie in the Ashes and the Sheffield Shield which started as long back as 1878 when the English visited Australia and subsequent encounters finally led to the development of the standard of Australian cricket and brought in a spirit of competition in the game, thus began the Ashes. The Sheffield Shield can be called the pioneer of good first-class cricket in Australia, the championship was the first move by the Australasian Cricket Council and it proved to be very successful in establishing first-class cricket championships in Australia. Australian cricket was staged at an international level with the onset of the 20th century but the level gained true impetus only after the WWI and with the debut of Don Bradman. The prospect of Australian women's cricket is also highly promising with the national team winning the World Cup 5 times. There is an equal counterpart for the Ashes in Australian women's cricket which is called the Women's Ashes, a series of matches played between the women's teams of Australia and England. The Rose bowl Series is another significant women's championship that is played between New Zealand and Australia. Australian cricket at the domestic level is also very developed and organized. All the 6 states within the country has a representative team that competes in various Australian tournaments taking place throughout the summer season. There are 3 championships that are competed at the domestic level, namely; the Pura Cup which is a 4 day competition, the Ford Ranger Cup, a one-day competition and the KFC Twenty20 Big Bash which is a 20-20 competition. 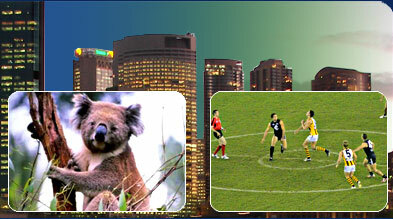 The Australian Women's cricket Championships are hosted each year for the women's teams each year at the domestic level. The organization of Australian cricket requires that players be selected from a club level into their national and finally the international team. Some popular club cricket championships include; Victorian Premier cricket, Sydney Grade cricket, Queensland Cricket Association, Tasmanian Grade Cricket, WACA District Competition and South Australian Grade Cricket League. Australian topography has also allowed the development of another form of cricket which is called beach cricket, sometimes beach cricket championships have also given birth to great Australian cricketers.